WOW! I had no idea that “natural” didn’t mean natural! Who is protecting us from the crap that companies put in their products, and on their labels? And fungus?? Gross! She helps open your eyes to a lot of the crap that’s going on with our food supplies. You will be shocked with some of what she reveals! I definitely made some changes to the way our family eats when I started reading her posts. Check her out! 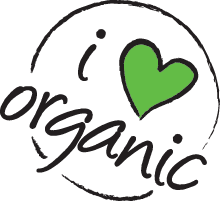 1 Pings/Trackbacks for "An Organic foods Insider shares how the term “Natural” can be misleading"